The world is coming to Southern Cross University on the Gold Coast. Fresh from topping the latest rankings for international student support, this week the University welcomes a record global intake for Session 3 of the 2018 study year. 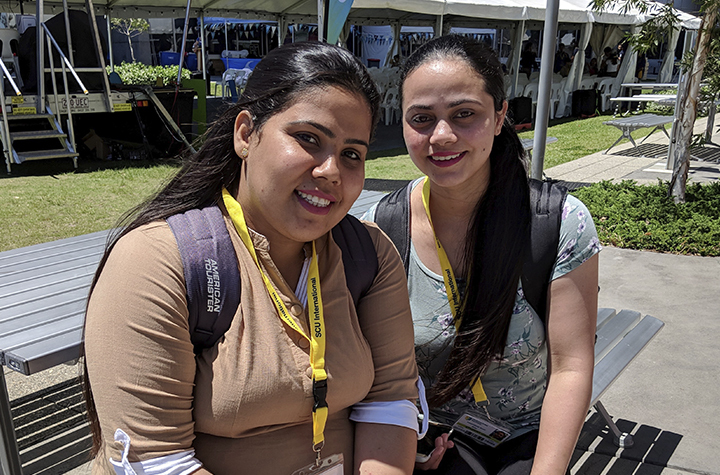 More than 500 students have traveled to Southern Cross University from locations across Asia, Europe, and North and South America. Countries include India, Nepal, the Philippines, China, Japan, Germany, Sweden, Italy, the US, Thailand, and Brazil. “This is a case of exponential growth in our international student numbers and it has come by design, not by accident,” said Mr. Monty Singh, Vice President (Global) at Southern Cross University. “We have worked hard to identify needs, to develop strategies and to create and promote programs that are ideally suited to international students. “For instance, new programs in engineering, information technology, and allied health were all launched during 2018 and we’re seeing the results of that in this terrific response. Gold Coast Mayor Tom Tate congratulated Southern Cross on the record intake for Session 3, saying the international student sector was a key factor in his strategy for the city’s economic growth. “International tertiary students add to the social fabric of our community. They have proven to be fantastic ambassadors for the Gold Coast, promoting our city and its people through their vast social media networks,” said Cr Tate. “Importantly, many are here for several years as they complete their degrees. During that time, their families and friends visit so the multiplier effect is significant so far as tourism numbers and spend. The 2018 International Student Barometer, the benchmark in gauging student experience from application to graduation, recently ranked Southern Cross University as number one in Australia for support of international students. It also topped the rankings for financial support and accommodation.